When it comes to the summer months, you can’t beat the “classic” activities, such as going out with friends, getting a tan and heading out for a refreshing swim to escape the heat. Swimming is an especially popular pastime, but it isn’t without its drawbacks. If you have to rely on a pool for your swimming needs, you’ll inevitably be exposed to chlorine, the chemical poured into pool water to keep it sterile and suitable for swimming in the first place. While chlorine works wonders as far as allowing you to enjoy the pool, it isn’t so good for your hair. 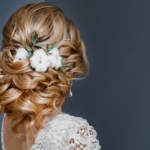 In this article, we’ll go over how to protect your hair from chlorine or soothe any existing damage you’ve already amassed from taking a dip in the past. As stated above, the purpose of chlorine is to keep swimming pools sanitary for swimming by purifying it and protecting it against bacterial breeches introduced by the mass of human bodies that enter the pool on a regular basis. The chemicals within chlorine are incredibly strong as a result. One of the jobs of chlorine, in particular, is to eliminate the presence of oil in the water—and guess what our hair produces on a regular and natural basis? If you’re a frequent swimmer, you want to exercise even more caution when going for a swim. Continually stripping the oils from your hair can cause all kinds of harm, including breakage, dryness and many other issues. If your hair is already bleached, it is even more vulnerable to chlorine’s effects. Hydrating shampoo can help you keep chlorine out. Apply a leave in conditioner. This will help to tame the ends of your hair, as well as restore and maintain some level of moisture. 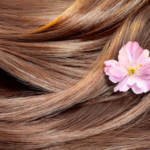 Invest in protein treatments to restore hair health. Use a clarifying shampoo to get rid of any and all chlorine still remaining in your hair. Consult a professional to see what else can be done. Invest in hydrating shampoo and use it following a swim to counteract any drying effects. Rinse your hair with fresh, non-chlorinated water after your swim to begin getting rid of the chlorine clinging to it. A swimming cap is a perfect way to keep your hair safe, especially if you frequent the swimming pool. Soak your hair with regular water prior to your pool trip. This will limit the amount of chlorine that can enter your hair. No matter the amount of exposure your hair has to chlorine, it will help tremendously to use sulfate free shampoo and conditioner to keep your hair sleek and healthy during the summer months. For any other hair related concerns, contact us! We’re here to help!